Microsoft has recently launched Windows 8.1. If you are using Windows 8 you would be happy to know that you can install Windows 8.1 without even spending a single penny. 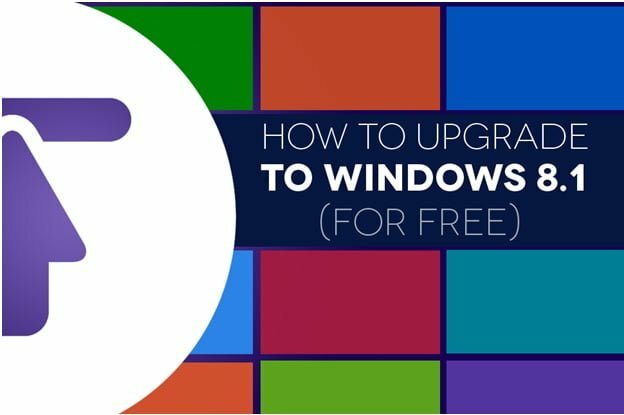 Today in this post we are going to learn how we can upgrade from Widows 8 to Windows 8.1. If you are using Windows 8 there won’t be any problem regarding the hardware requirements. 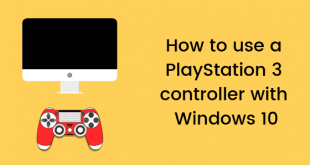 But if you are not sure if the present hardware configuration won’t allow you to use Windows 8.1 you can check the hardware requirements required. Click here to find out the complete hardware requirements. Once you have passed the hardware requirements, plug in the charger (if using laptop) and then see if you are connected with the internet or not. If you have enabled the Windows Update then all the necessary updates would have been automatically downloaded and installed. But if you haven’t turned on automatic updates turn them on and see if all the files have been downloaded or not. The next step is installing Windows. Go to the Start screen and then click on the Windows Store tile. 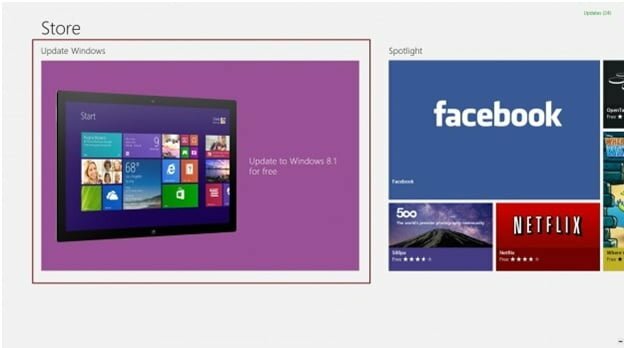 On the homepage of the Windows store you will see a Windows 8.1 panel. Select that panel and you will see a Download button present in the top left corner of the screen. If you are not able to see the Windows 8.1 panel we suggest you to update your OS using the Windows Updates. 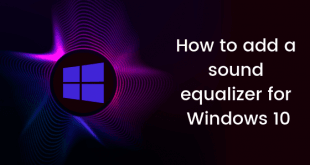 Once you have started the download, Windows 8.1 will itself automatically download the entire setup and will also install Windows 8.1 on its own. It will notify if any actions are required to be taken from your side. You can even stop and resume the download by clicking on the Download button. Once the installation has been done you will be asked to reboot your system. 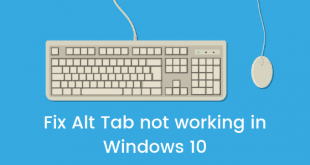 Reboot your system or you can also allow Windows to automatically turn it on after 15 seconds. Once your machine gets rebooted you will come through Microsoft software terms and conditions. Accept them and complete the on screen wizard. Once you have accepted all the terms and conditions you will see that the desktop apps will be automatically present in the start menu. 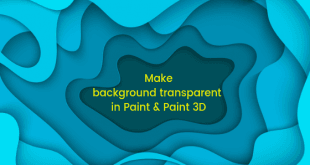 If not wait as it is only viewable once Windows 8.1 is fully installed. However you manually need to install all the apps which you purchased/downloaded from the Windows Store. To do that you need to go the start menu and then go to Windows Store. Go to the My Apps section and there you will see all the apps which were purchased by you. Select the apps which you want to install. There you go. You have the latest version of Microsoft Windows.